Our body is made up of 70% of water. Science says that you can survive for up to 3 weeks without food, but you cannot survive more than three days without water. That’s how important water is for our body. Did you ever pay heed to this fact? Another little fact to remember: Our body needs at least 1 gallon of water per day in summers and half a gallon per day in winters. Maintaining the right balance between bodily fluids is imperative to keeping all our physiological processes up and running smoothly. This is where water plays an important role. From the digestion of food, to regulating body temperature, to nutrition transport, fluids play an important role in all physiological process, and require water for their normal functioning. By not providing sufficient amount of water to your body, you are actually taking the risk of damaging this balance. 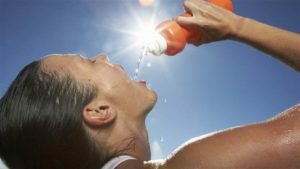 While you might have tried different diets, joined fitness classes and done a lot to lose weight, the simple trick could have been supplementing your body with more water. Yes, water alone would not have done the trick, but it would have definitely helped you lose weight more quickly. The reason is simple – it makes your body feel full. So, you will automatically eat less when you have consumed a sufficient amount of water. 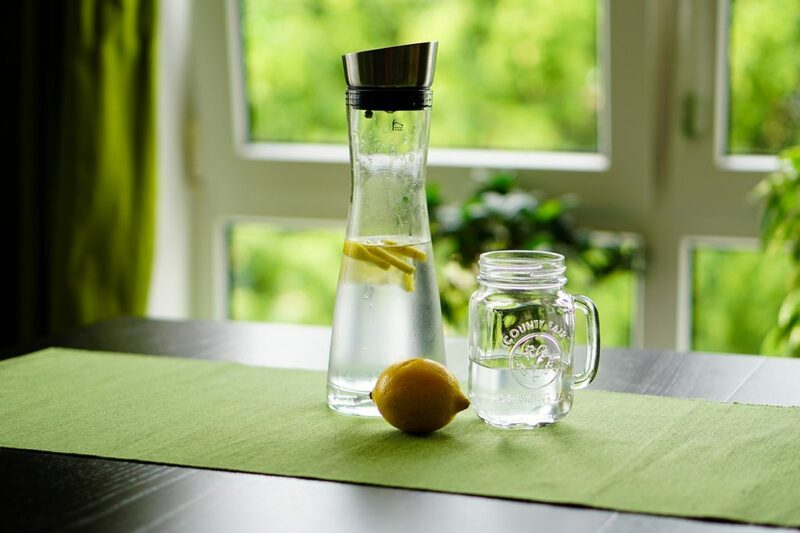 It’s also great to remember that recent studies suggest that drinking water with fresh lemon is a great way to help your body shed extra pounds as well! Kidneys are the most important organ for detoxifying your body. Consuming the right amount of water ensures that kidneys continue to function normally, and therefore remain healthy. If you do not supplement your body with sufficient amounts of water, it will impact the health of your kidneys. And this impact could lead to serious health consequences in the later stages of life. Not only for internal health, but drinking the right amount water is also great for maintaining a clear and glowing skin. Water is important in circulatory as well as regulatory processes of the body. By consuming sufficient amount of water, you are getting rid of the toxic chemicals from the body. These chemicals and toxins could give rise of acne and other skin related problems as well. The benefits of drinking water are not limited to just the above four factors. Science has proven that by not consuming a sufficient amount of water, we actually put our body under a lot of physiological stress, which is by no means healthy. 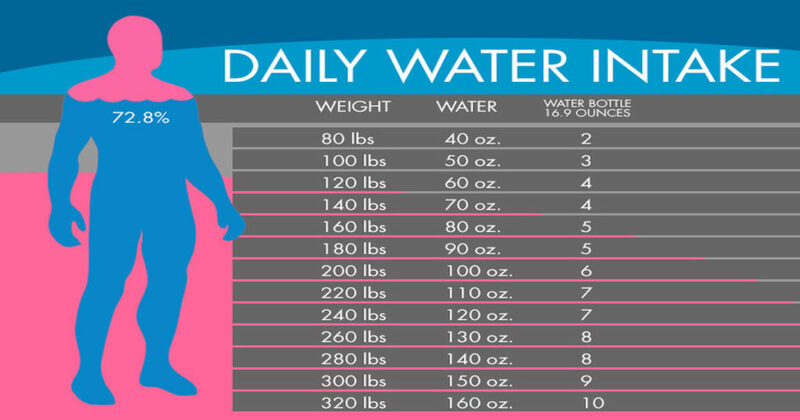 So, make it a habit to consume at least a gallon of water every day this summer. Try using the 8 X 8 rule: Consume eight, 8-ounce glasses of water daily! Give it a try and see how you feel, or simply make it a daily practice to maximize the health of your precious body. Have a happy and healthy summer with lots of fresh water!